Since its beginnings in 1982, Orchard Nutrition has transformed into a full service health foods and supplements store serving the entire North State area. The Martino family has enjoyed serving the Redding community for the past 30 years. They are proud to provide more than 40 jobs in the Redding area. They live here, shop here, and attempt to source as much as possible from local organic suppliers of cheese, meat, produce, and so much more! They have a variety of products including bakery and deli foods, vitamins and supplements, organic groceries, and organic produce. 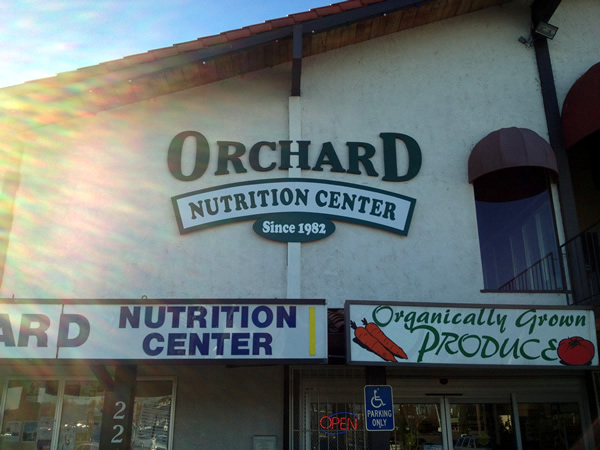 Thanks to Orchard Nutrition Center for being a Sponsor of the January 6th, 2018 Redding Health Expo!